1 Even the wilderness and desert will be glad in those days. It’s that time of year again. We in our choirs in churches around this great country are preparing for our Christmas cantatas and programs to honor the birth of our Lord. 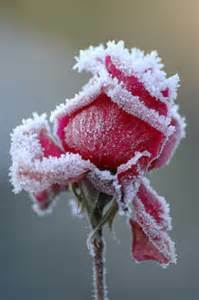 My particular church choir is working on Joseph Martin’s “The Winter Rose.” Martin has used many images of Jesus as the Rose of Sharon, “Lo, a Rose ‘ere blooming,” etc. to describe the beauty of the gift that God gave us in His Son. This Scripture from Isaiah prophesies the Savior’s coming and the beauty of it. Beauty brings us hope, peace, joy, and even love blossoms in the eyes of the beholder. These themes of Advent are near and dear to my heart all year through, but especially this year after working through my grief and depression after the loss of my father and grandmother in the past couple of years. After all the darkness I (and you, dear reader) have endured, the Rose of Sharon stands as a beautiful reminder of the salvation that awaits us after the trials of this life. Because Jesus sprung up as the Root of Jesse, bloomed, grew, was crushed for our transgressions, and was reborn to new life, we have hope for the future, peace in knowing we are forgiven, joy in our daily lives, and love for one another and God Himself. As we prepare for the seasons of Advent and Christmas, let’s set aside the busyness and take plenty of time to savor the delights of the Rose. As I pulled out of my driveway this morning, among the frost and fallen leaves on the ground, my deep red double-knockout roses were vibrantly blooming. I immediately thought of our choir rehearsal last night and the Rose of Sharon, the Son of God, that we sang about. May the hope, peace, joy and love of Christ rule in your hearts this year as we approach Thanksgiving, Advent, Christmas and Epiphany. The story of God’s beloved Son is as vibrant still after 2000 plus years as my roses in November. Jarrod Brown, DDS, DWS is a graduate of George Mason University in Fairfax, Virginia, with a BS in Biology, Virginia Commonwealth University in Richmond, VA, with a Doctorate of Dental Surgery, and The Robert E. Webber Institute for Worship Studies in Orange Park, Florida, with a Doctorate of Worship Studies. While in full-time practice as a general dentist, Dr. Brown also serves as a hospital chaplain in his hometown of Danville, VA. He and his wife, Lisa, are very involved in Fairview United Methodist Church, Danville, where both participate in the music ministry and worship planning committees. Dr. Brown’s favorite areas of worship studies are liturgical design, Baptismal renewal, and creative altar/sanctuary design. He is also the proud father of two sons, Trevor and Nathan. Happy End of Daylight Savings Time Sunday!